Dadi does not know the forced marriage truth. Anika breaks out to Dadi about Shivay’s threatening. Shivay does not want to take Anika home. Anika refuses to go with them. Dadi asks Anika what does she mean. Anika asks Shivay to tell the truth. Anika tells Dadi how Shivay insulted her and forced her to marry him. Dadi gets a big shock. Shivay asks Anika to tell complete truth. He tells Dadi that Anika made Richa leave. Anika tells Dadi that he forced Richa for marriage and Richa had run away. She asks Shivay why did he get Sahil in their matter. Dadi asks them to stop arguing and sort the differences. Dadi finds their marriage done by wrong way, but the destiny united them. 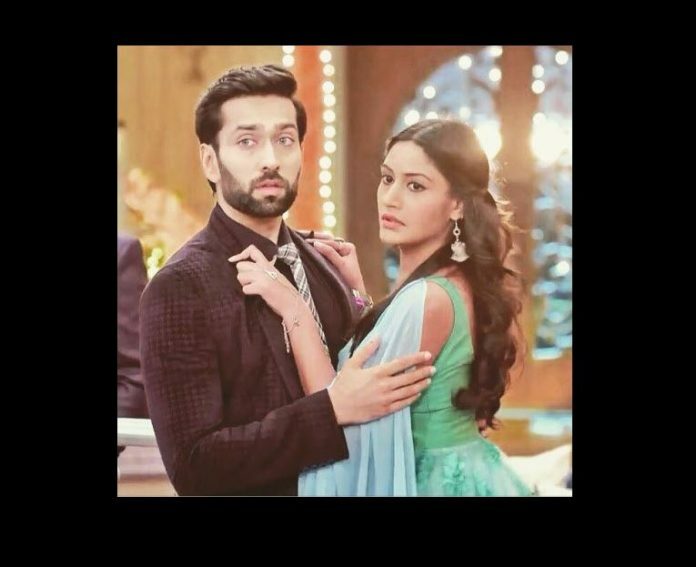 Shivay and Anika refuse to accept the marriage. Dadi sees Anika wearing the mangalsutra. She asks Anika why did she not remove the mangalsutra along the other jewelry. Anika gets speechless. Dadi asks Anika to speak out what she thinks of this marriage. Dadi takes it as Anika’s approval. Shivay refuses to accept Anika. Dadi asks Shivay did he not marry Anika. Shivay accepts he has married Anika by all the rituals, and wants to end all the problems by removing her mangalsutra. Dadi stops him from doing this inauspicious thing. Dadi insists Shivay to keep the marriage with Anika. Dadi tries keeping them together. Rudra does not like Tia and creates hurdles for Tia. Tia is angry seeing Anika with Shivay. She makes plans to kick out Anika from Shivay’s life. Tia taunts Anika for wearing her clothes and taking her place to do the post marriage rituals. Tia is upset and much angry. She asks Anika to remember that Shivay is going to marry her. Tia humiliates Anika once again. Anika does not say anything to defend herself. Tia tells Anika that Oberoi family is her inlaws, and Shivay will do the rituals with her. Shivay and Anika complete all the post marriage rituals to keep up Dadi’s wish. Dadi and Pinky argue. Pinky accepts Tia as her bahu, while Dadi accepts Anika as her bahu. They have an argument. Shivay hands over divorce papers to Anika as the wedding gift. Will Anika sign the divorce papers? Keep reading.